There’s two types of pizza in this world; pizza with pineapple and pizza without satan’s fruit (on savoury goodness). When it comes to cost and saving money there is actually only two types of pizza, usually. Cheap and probably not great quality pizza or the more expensive kind that is easier to satisfy your stomach but will leave your bank balance feeling under the weather. 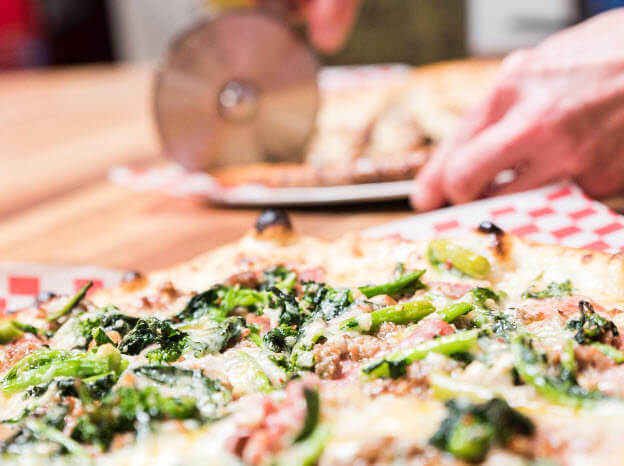 Ideally most people want a middle ground — decent pizza at prices that won’t leave you feeling too guilty (okay, maybe a little). For this, the best thing to do is check out what codes.co.uk offer at places like Domino’s as a first port of call. At the minute you can get 20% with this link. Otherwise, why not try some of these tips? If you’re living with housemates or fancy a treat on lunch break with colleagues then speak to the people around you. Those who budget out their food costs tend to prepare individual meals and keep money tight and bellies full, no matter how tedious. Keep food fun and splurge a tiny portion extra with mates. Usually a pizza can be halved considering the amount of carbs in it. If it’s bigger parties you’re allocating for, pizza outlets will usually discount the price the more pizzas you order. Before freaking out, this does not require acquiring a tiny moustache and Italian accent tossing dough through the air like a basketball. There’s a number of alternatives for preparing homemade pizza with ingredients available off the shelf. You can get started with as little as a store-brand naan bread, tomato puree and grated cheese for just a few £££. Get creative with toppings and spend on those you actually enjoy. It requires small effort and is great for vegan and vegetarian options too. 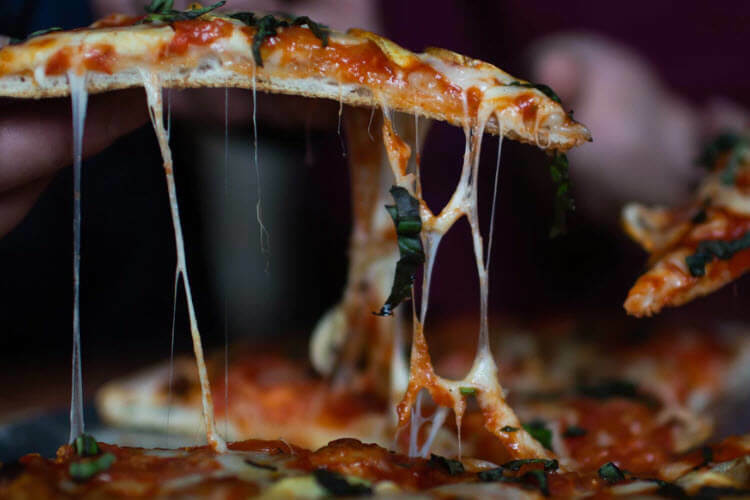 If you’ve splashed out on a big pizza (usually cheaper than buying personal-sized pizzas FYI), you’ll notice around slice 4 or 5 you may have bought a bit too much. But rather than forcing your way through then disposing the leftovers, fridge that bad boy and get ready for some top-notch breakfast come morning. There are actually a few ways to reheat pizza, avoiding the pain of buying a fresh one, but there is usually just one FATAL error. Do not reheat slices of pizza on their own in a microwave. Can’t be stressed enough. However, reheat with a small cup of water in a microwave friendly cup or container? YES. Throw on a frying pan with a low heat for 5-10 minutes? YES! YES! Keep it in the box and put in the oven on a low heat including a cup of water on the bottom or shelf rack? YES! GOOD GOD, YES!